Mark Rydell (born Mortimer Horace Rydell; March 23, 1929) is an American actor, movie director and producer. 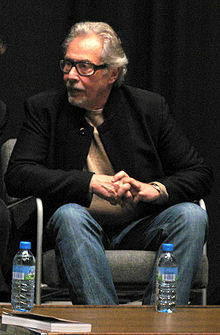 Rydell has directed many Academy Award-nominated movies including The Fox (1967), The Reivers (1969), Cinderella Liberty (1973), The Rose (1979), The River (1984) and For the Boys (1991). Rydell was nominated for an Academy Award for Best Director for On Golden Pond (1981). ↑ Emery, Robert J. (2002). The Directors: Take One, Volume 1 (illustrated ed.). New York: Skyhorse Publishing Inc. p. 305. ISBN 9781581152180. The Total Picture Seminar – A Seminar with Martin Landau, Mark Rydell, and Lyle Kessler covering filmmaking. This page was last changed on 8 April 2017, at 04:24.